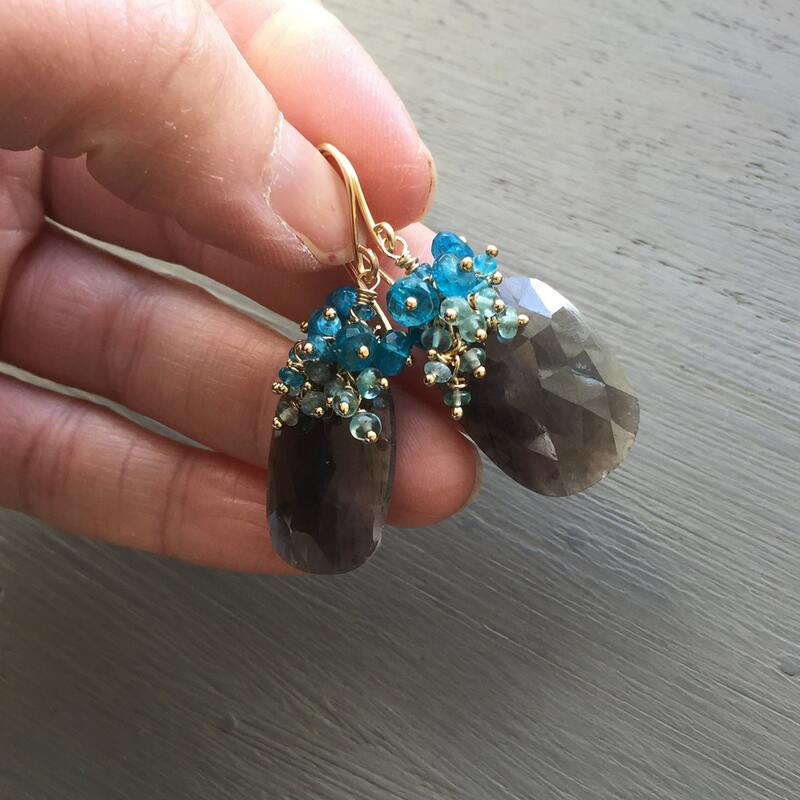 Rose cut sapphire earrings topped with clusters of multi tonal apatite rondelles in a peacock neon blue and a paler aqua. 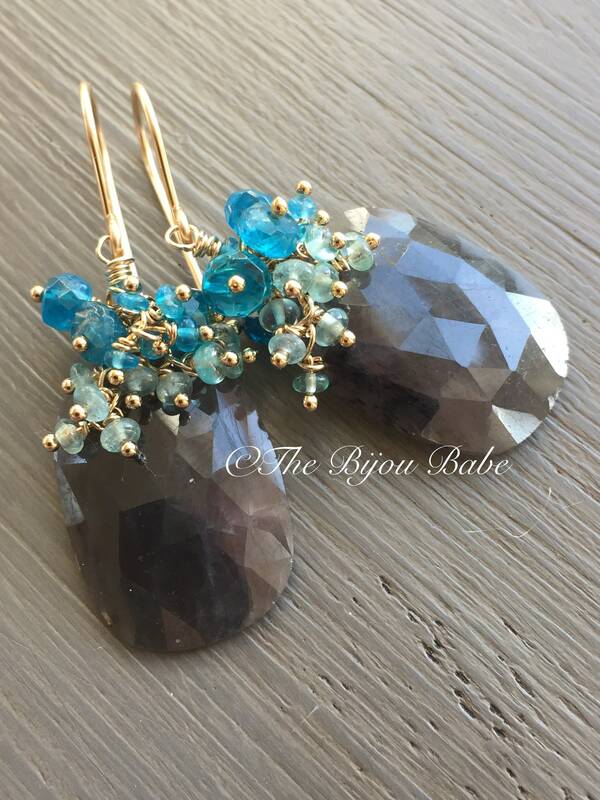 All gems are wire wrapped on 14kt gold filled headpins. Smoky gray sapphires have a fancy rose cut on the face of them, while their backs are smooth polished. The stones are actually a thin slice, so despite their generous size, they are unbelievably light weight to wear. 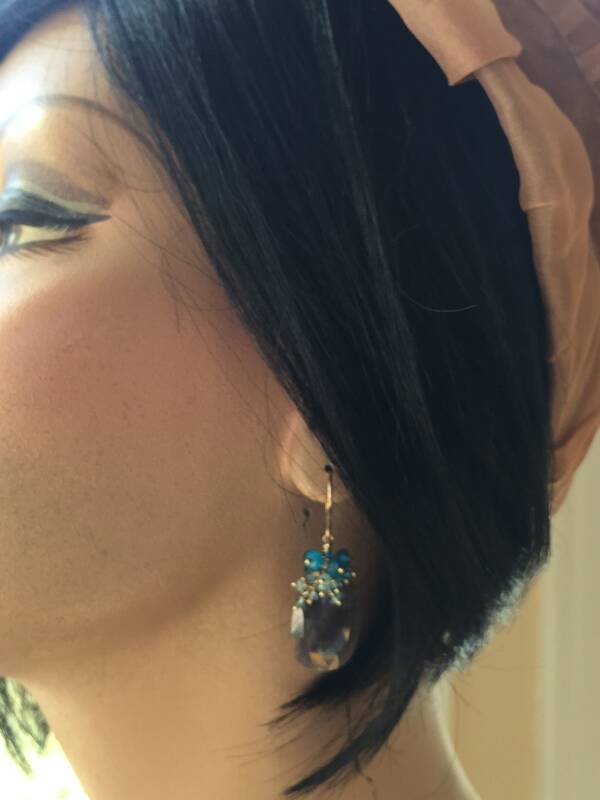 Truly glamorous and striking earrings. All metal used is 14kt gold filled. Your rose cut sapphire earrings will ship USPS Priority Mail with tracking in the US, and will be packaged in a lovely gift box tied with ribbon.